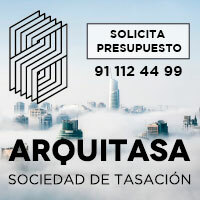 The publication of architecture that you see above captured in a pantallazo was produced by us it does more than ten years. Not if it was an intuition, a lighting or a pedrá, but the certain thing is that already we were speaking about a series of concepts that now it seems that they worry some and to others they get indigestion. To the first ones for lack of comprehension and apprehension and to the second ones … to this for the same thing. From here, an opinion, I believe that confused, of Fredy Massad to David Basulto‘s article; Pilar Pinchart‘s review, that turns into an elegy to the publications into paper hoisting the completely free flag not; and certain irresponsibility of a series of companions, that giving arguments to detractors of the digital thing they share to matador and disaster in the network; they have unleashed that takes again this topic and decide to try to explain a situation that, I at least, I see clear. As much continues having that to see, I am going to recover the appointment that I mentioned in the past article on archBib. It is so important that it goes time structuring my way of perceiving and understanding the Network and today it is going to return to help us. It is Dee Hock’s phrase that you can find, in Linda Stone‘s article. The dates in cursive behind every stage are of Stone and they me would not turn out to be specially relevant if it was not because, without bearing in mind the major or minor academic authority that Stone could have, it makes us think if we are not already in the discount. Estimated Fredy, Prop et al.. I believe firmly that the leaked one of information for his publication is not critical. For much that this process of selection has criterion, or lack of him. For my it is not critical. The critique is a knowledge. It is an information digested and assimilated by others up to turning her into knowledge, and that allows us, puts us in disposition of, to take decisions and to determine actions. It does not imply message. It does not imply per se a power of relation. Not as they are, and you allow me here to exclude myself, her handling many. The communicators, which take to show the epithet of bloggers, those that they share for divertimento, have not been capable of digesting a concept, so ancient that his name sounds to science fiction ochentera, as that of hypertext. A concept that, in spite of taking it constant in her h of http: // … one does not understand in his deeper implications. Hiper denotes superiority or excess. Hypertext denotes what it overcomes the text. If gentlemen, which it overcomes the own information, the mere univocal message, to acquire the potential of deployment that before only was conceivable for the hermeneutics across the interpretation and the dialog. The web 2.0 it is not a question of interpersonal communication. The communication, the dialog, the comments are not already the important thing. Already they existed in 2002 and I can assure you that with a lot of more activity and wealth. A wealth and force in the exchange of knowledge that did that some of us could understand what was happening. 2.0, or simply the current condition of the technology, allows to process this information that overwhelms many people for excess, and to turn her into knowledge. It allows to connect, to qualify it it, to classify it, to label and to do that, by means of these processes, these actions you never humanize automatic, and especially, by means of the construction of the appropriate networks of links to other digital spaces of information, let’s be able construct knowledge. We pledge in devaluating the transcendency of our attitudes assimilating them to divertimentos on having shared and we do not realize that we are wasting an enormous resource, our resource, the material good that does that an enormous part of our company, the informacional, works. Being Network, which probably it should correspond in small letters like architecture, it is to construct of active form the network to worry and to deal with his survival. It is to understand that the important thing is that there takes place the spark that connects ideas and information, not that the spark takes place crossing our web. If we do not do a use responsible for the information. If we do not learn to produce it in order that it is of quality and relevant, to manipulating her in order that he respects his producers, to sharing it not to turn into mere dealers, to evaluating it in a critical way in order that every time there is less noise and to relating her in order that it turns into knowledge. If we do not take a position of active responsibility, we will be wasting simply the most valuable resource. SAnd opposite to this squandering, arguments like those of Pilar will have the whole validity, when we have not to, for the good of the technological development, assume them. It is necessary to to be a space in which, for our behavior, we silence the noises; in that, for our work reporting, sharing, connecting, offering the others of tidy and coherent form, let’s do on that our knowledge puts to the service of the others. Some companion says to me that it does not enrich itself sharing the information, and that because of it it does not make anything bad. Illusory arguments inside this conjuncture. The information already does not have value. The digital thing has taken it from him it stretching to zero … The value it is in the presence, in the work, in the service. To think that the lack of action does not have consequences is fallacious and pernicious. The photos that our companions photographers produce, for example, already do not have value in if same. When anyone can unload, copy, transform, reproduce, multiply … the physical objects that are this set of gentle them they do not have value. And I am not speaking of recovering here the value of the artist, if not to recover the value of the producer, of the agent, with his technology, with his look, with his capacity as qualified professional who is capable of offering a service and that, thanks to the expansion of the information that has produced, is capable of demonstrating the value of his work. “This is information. The proper use of it can bring a new dignity to mankind. 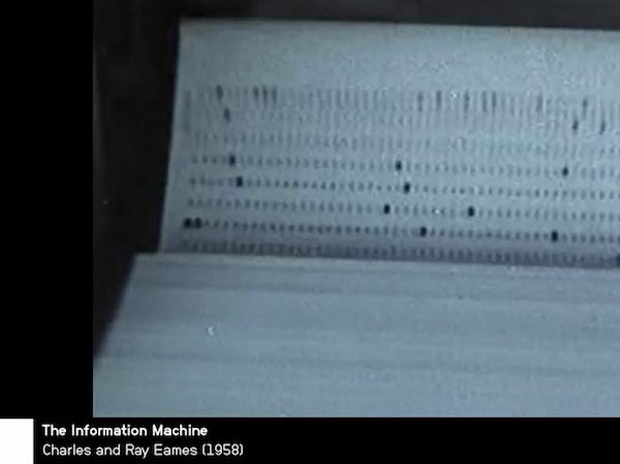 … (Information machines) process information so that it can me made meaningful at the human scale”. The Information Machine. Ray and Charles Eames, 1958.